Searching for affordable condos in Pigeon Forge, TN? 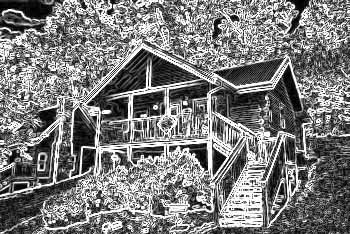 Cabins USA offers several vacation condos that provide a convenient location and excellent amenities for your getaway in the Smoky Mountains! A stay at one of these Pigeon Forge condos places you only walking distance from several attractions and restaurants along the Parkway. Even better, these condos place you only a few miles from Dollywood! With excellent attractions like The Historic Old Mill, The Titanic Museum, and numerous theaters and dinner shows only minutes away, you'll have no shortage of fun things to do and see in the Smokies! Have some fun at attractions on the Pigeon Forge Parkway including mini-golf, museums, go-karts, dinner shows, and more. Staying in one of our condo rentals in Pigeon Forge ensures you'll be near all the exciting attractions you want to see in the Smokies a price that's easy on your budget! After a great day spent exploring the Smokies, you can look forward to relaxing in a 1, 2, or 3 bedroom suite. For a romantic evening together, enjoy a soothing bath in your Pigeon Forge condo's jacuzzi tub. Some of our condos even provide resort swimming pool access so you can enjoy a refreshing swim during the warm summer months! For quick snacks or meals, enjoy the convenience of your condo's fully-equipped kitchen or enjoy a cookout on the BBQ grill! Choose one of these condos in Pigeon Forge, TN today and enjoy a 15% discount on your reservation when you book online! Start planning an exciting Smokies vacation filled with tons attractions, restaurants, and shopping that all rest near your Pigeon Forge condo.